Ma Ly is a self-taught French painter and art instructor living in Fresno, CA. 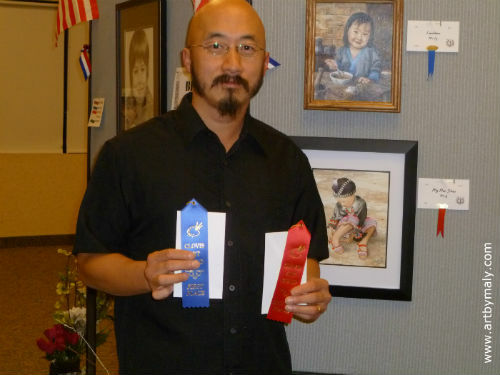 He welcomes any type of commissions and gives art lessons at his studio, at Fresno Adult School, and at Michaels store in Clovis, California. The human element is at the core of his work, through portraiture and cultural paintings. In 2013, The Fresno Arts Council featured him as one of the artists of the year at their “Dining With The Artist” event. Ma Ly specializes in portraits but his work also includes various subjects and whatever captures his heart and attention, done in a realistic style. Born in Laos, of Hmong origin, he relocated after the Vietnam War to France where he lived for 32 years before settling in 2008 in Fresno. 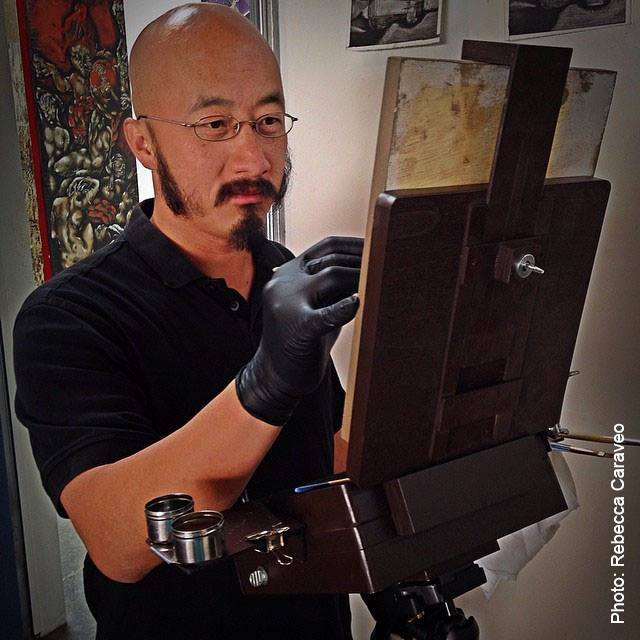 He founded and currently manages Colligo Studio, a thriving art studio and gallery downtown Fresno, California. His paintings are in private collections in France and the United States. They also were displayed in several art shows and venues in Fresno and Clovis, including Fresno City Hall, the historic Fresno Water Tower, and Clovis Veterans Memorial District. In January 2011, he completed a life size posthumous portrait of General Vang Pao for his memorial service held at the Fresno Convention Center. 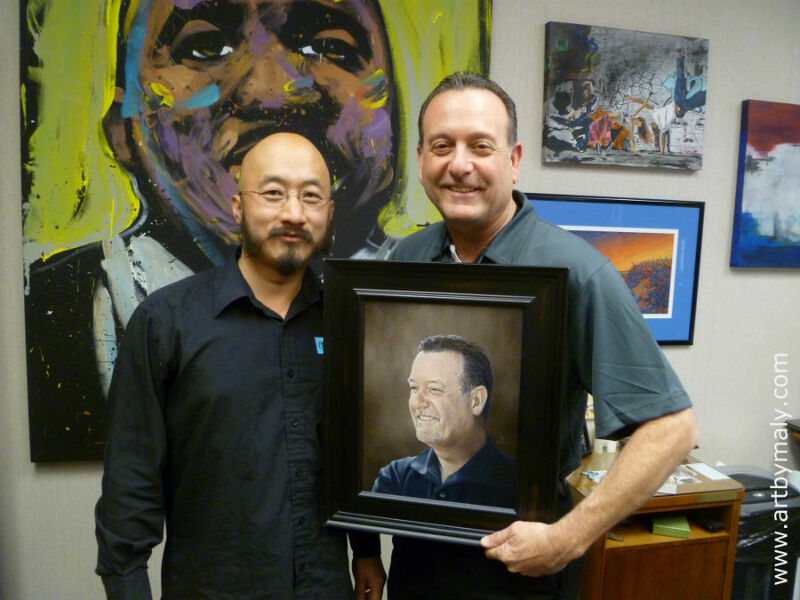 Also, he was honored to meet Martin Luther King III, who owns a print of his award-winning paintingThe Bus of Shame. Four of Ma Ly's paintings depicting Rev. Dr. Martin Luther King, Jr. are on permanent display in the African American Historical & Cultural Museum of the San Joaquin Valley of Fresno. In May 2013, he was one the 15 artistic directors on The Art of Life® project where he assisted a group of women cancer survivors to collaborate on a painting, currently in display at California Oncology of the Central Valley in Fresno through April 2014. Also, The Fresno County Office of Education commissioned him to paint the portraits of President Obama and First Lady Michelle Obama. In addition, Ma Ly has illustrated “Enchanted Necklace”, the new children's book by Dr. Jewell Reinhart Coburn (who previously co-wrote “Jouanah, A Hmong Cinderella”) and journalist Mai Kou Xiong.